Fiberglass pools – are they superior to vinyl liners? Why does Southern Scapes ONLY do fiberglass swimming pools? The truth is we feel our clients get a superior product when they install a fiberglass pool compared to the cost and maintenance of other types of pools. If we felt a vinyl liner was the best choice for our customer considering their unique budget and conditions, we would install a vinyl liner or concrete pool. However, this has simply never happened and fiberglass always wins out over the other options. We have even been strongly urged to consider vinyl liner pools by manufacturers and distributors, but simply feel it is not the best option when considering the investment made by our clients. So why do people go with vinyl pools? It is typically based on one factor – MONEY! Most people want to get the biggest pool possible and desire to spend less than $30K for a turnkey job. 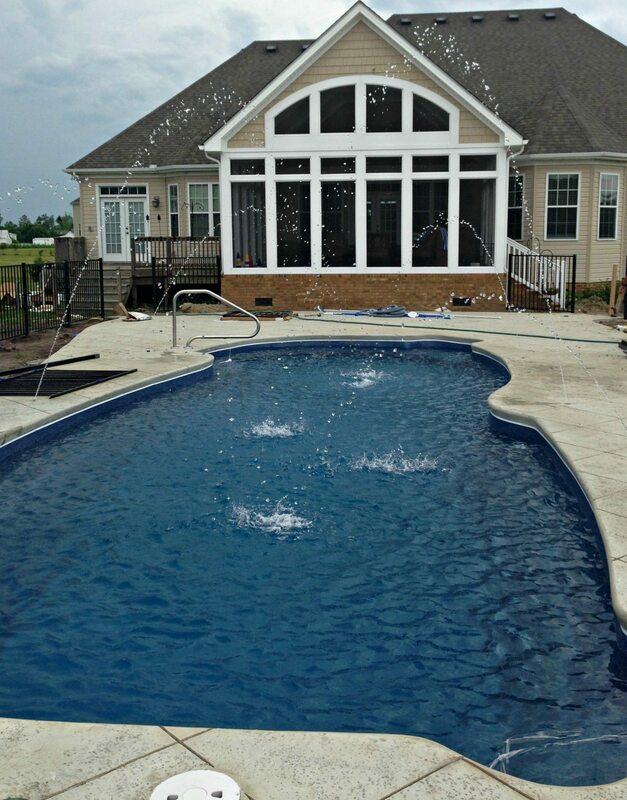 We install smaller fiberglass pools all the time for less than $30K. However, the issue is generally when people want a much larger pool than $30K can buy. Salespeople many times will downgrade to a vinyl liner simply to make the sale – regardless of whether it is in the best interest of the customer. We have ripped out numerous vinyl liner pools and replaced with a fiberglass pool. What did 99% of these clients say – they wished they would have held out for a fiberglass pool! At Southern Scapes Pool & Landscape, we encourage our clients to consider a multitude of options including delaying their project a few years if necessary. We maintain contact with these folks via calls and emails – sometimes for years – to let them know of new promotions and other special financing and other offers. Generally, these customers become clients and appreciate that we encouraged them to hold out until they could afford the pool they truly want! Yes, we could have easily sold them a vinyl pool and put the money in our pocket – but our goal is to give our clients the best bang for the buck with the least amount of headaches!